Our traveling block is manufactured according to API 8A. Besides, it is in conformity with the industry standard SY/T5527. 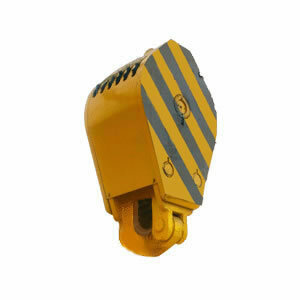 As the sheave groove is quenching treated, it is abrasion resistant and has long service life. The sheave and bearing are interchangeable for those of mated crown block. Rugao Yaou Company is a major traveling block manufacturer and supplier in China. With our years of experience and continuing efforts, we have obtained API certificate, and can provide a complete line of oil drilling equipment, such as solid control equipment, workover tools, oil production tools and more. To suit your various requirements, we also make other products, like shearing machines and rolling machines etc. If you are looking for oil drilling equipment, please don't hesitate to contact us. We will offer you quality products at low prices.